Once you link your accounts, 3Play Media will be able to pull a feed of all public content from your Ensemble account. You will then be able to upload your Ensemble content for captioning and transcription directly from within the 3Play app. 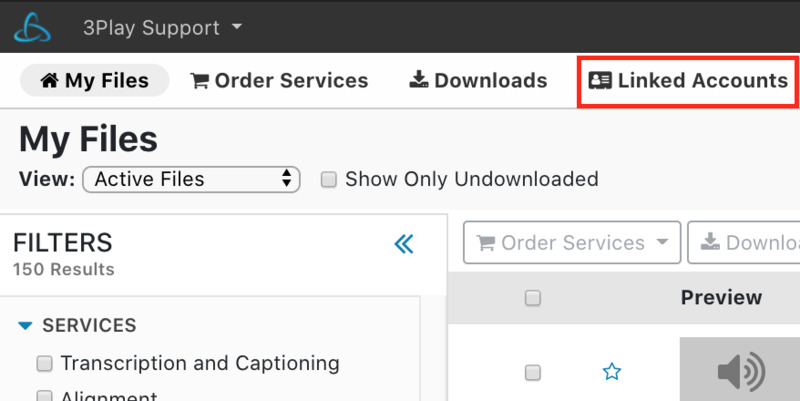 By following the steps below the captions automatically postback to the associated videos in your Ensemble account when the files are completed by default. From the My Files page click Upload. By default you will be directed to Upload > From Computer. Hover your cursor over Linked Account and from the drop-down menu that appears click +New Linked Account. 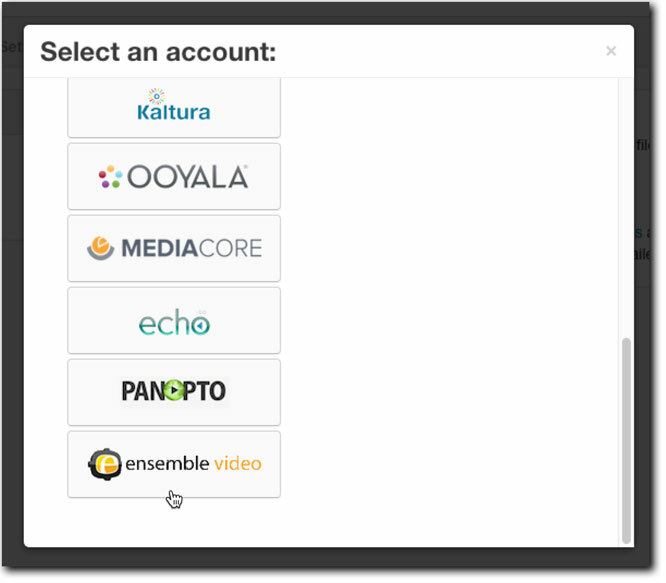 Scroll down the list and click the Ensemble Video icon from the list of video platforms and lecture capture systems. Once selecting the Ensemble Video icon you will be directed to the Settings page where you will need to enter the Ensemble Video Username, Password, and Server URL to set up the integration as these are required fields. Note that the Server URL is the URL you would enter into your browser when logging into your Ensemble Video account. For the optional (Nickname) field feel free to enter a nickname for this linked account. Set Postback Captions to ON to have the closed captions automatically postback to the associated video upon completion of the transcription process. 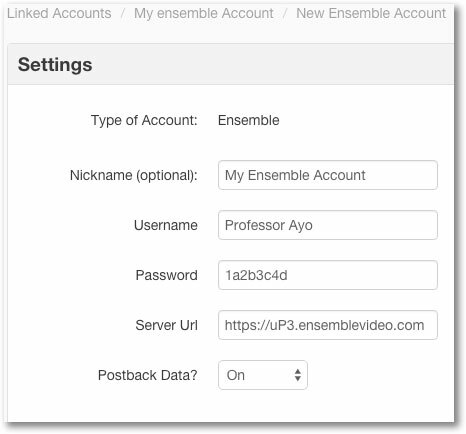 After entering your Ensemble Video credentials click Create Account and you will see a message that the accounts have been successfully linked.